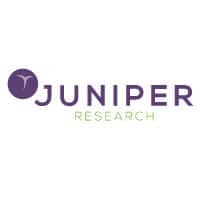 More than 600m mobile devices worldwide will include biometric authentication within the next five years, up from 190m in 2016, with demand for methods that involve less hardware raising the profile of solutions such as voice and facial recognition, a report from Juniper Research says. Multiple biometrics will become part of consumers’ mobile experience in the near future, the study Mobile Biometrics: Consumer Markets, Opportunities & Forecasts 2016-2021 says. Technologies that do not require dedicated hardware, as fingerprinting does, will grow new audiences as biometric security penetrates markets with lower-tier smartphones. Fingerprinting will remain common in more affluent regions though, the report says. “While biometrics offer an increased amount of security and convenience, they need higher levels of protection,” says research author James Moar. The boom in biometric authentication was highlighted last month by a Frost & Sullivan report which stated one in three new cars will feature some form of biometric feature by 2025. Meanwhile, a Mastercard survey reported in September that customers would rather use biometrics than PIN codes to secure mobile payments, with fingerprint recognition technology proving the most popular method. I suspect that looking back on this prediction in 2021, it will appear to have been naive. By definition, every phone contains a microphone. This means that biometric authentication is simply a matter of software. Most contain cameras and accelerometers which can also be used for biometric authentication. Moreover, the cost of additional specialized sensor hardware, such as fingerprint readers, falls with time and volume. Consumers prefer biometric authentication because it is convenient when it is not transparent. That in combination it can be made sufficiently secure for all consumer, and most government and enterprise, applications is simply a social bonus.